Scripture has much to say about Unleavened bread, and even tells us what kind of bread was eaten at the Last Supper. We concluded in the previous writing, however, that the type of bread eaten at the Last supper can not be determined simply by observation of the Greek and Hebrew words for bread. Now we will see the answer hidden in plain view, as we look at the Days of Unleavened Bread in Scripture. What day is this, according to Scripture? We are told in the above passages in Matthew, Mark, and Luke, that when the day of Unleavened Bread came, it was the start of the 24-hour period in which the Passover (sacrifice) Lamb must be killed. 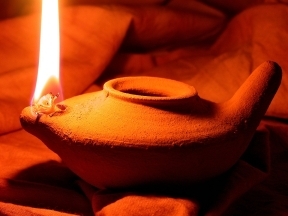 This is not the 7-day Feast of Unleavened, but the 24-hour period of Passover, in which the leaven is to be removed, and the Passover lamb killed in a leaven-free environment. We see also that when the hour [sunset] had arrived, this marked the beginning of the 14th day according to Scripture; and it was at this time that that the Disciples sat down to have the Last Supper. But according to Scripture, which day of the month is the Lamb to be killed? The Passover was to be killed on the “14th day” of the first [Biblical] month. We also saw above in Mark 14:12 that this day is also the first day of Unleavened Bread. Notice that this meal seen in Exodus included Unleavened bread. Notice also that this fourteenth day was not the first day of the ‘Feast’ of Unleavened; the ‘Feast’ of Unleavened would begin 24 hours later, at the start of the fifteenth day. Let’s see why there must be no leaven on the 14th day, the day of Passover seen above in Exodus 12:8. From the above Scripture passages, we see that there can be no leaven present at all during the 14th day — the day of the Passover sacrifice. Since we see that the Last Supper was held in the evening, at the beginning of this 14th Day, we realise that all leaven would have been thoroughly removed previously. There would therefore be no leaven allowed after sunset beginning the 14th day, hence only unleavened bread would be present at the meal. So the first day of Unleavened Bread is the 14th day, the same day the lambs are to be killed, as we saw above in Mark 14:12. The Torah requirement for the 7-day Feast of Unleaven is that no leaven is to be found in the home during this time. So we see not only does the one day of Passover require Unleavened bread, but the 7-day Feast of Unleavened Bread also requires that no leaven be present for the next seven days, so Unleavened bread is eaten during this time. The day of Passover is simply the first day of all these days of Unleavened Bread. Down through time there has been much confusion about these matters. However, when we look at Yahushua as our pattern, we can easily see the Truth. Yahushua was our perfect sacrifice, because He was without sin, without corruption — He was without ‘Leaven.’ He is our Passover (sacrifice), who was sacrificed for us (1Co 5:7). He is also our example. In accordance with the pattern of His Unleavened Passover, even we are to live our lives as the Feast of Unleavened Bread, without Leaven, but with sincerity and Truth. 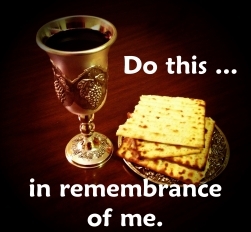 Just as the Master lived a life without Leaven as our Passover sacrifice, our goal is to live out our lives as the Feast of Unleavened, a life free of ‘Leaven.’ The seven days of the Feast of Unleaven speak of our time of preparation as Yahushua’s Disciples, while going through our process of ‘sevens’ — of preparation and completion, of ‘perfecting of the saints’ (Eph 4:12). So we see there is one day of Unleavened required for the Feast of Passover, and then 7 days of Unleavened required for the Feast of Unleavened Bread, for a total of eight days of Unleavened Bread. How does this agree with the traditions resulting from the Captivity in Babylon? Religious systems that fail to recognise the Unleavened Life of The Master as our Passover, see only a 7-day Feast of Unleavened beginning on the fifteenth day. In our previous writing, we concluded that the Greek and Hebrew words used for bread are used for both Leavened and Unleavened Bread; and so from this alone we could not conclude which type of bread was used at the Last Supper. The Torah requirement for removal of all Leaven by the start of the 14th day tells us there was no Leaven present at the Last Supper at the start of the 14th day. Therefore according to the Scriptures, we must conclude the bread eaten at the last Supper could have been only Unleavened Bread. For the upcoming Biblical dates of Passover and Unleavened Bread Feast days, see the Latest Updates Page. Thank you Recipe man for your comment and encouragement!